Looking for FUN, Excitement, SPEED and and fantastic time??? We are offering a seat in a highly competible TRUE racecar in the coming VLN 24H Nûrburgring as a complete " ARRIVE ´n DRIVE" package. 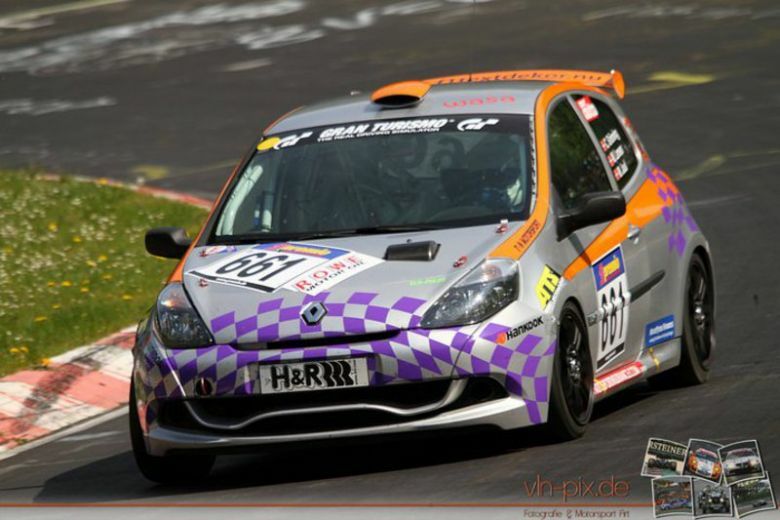 Prefessionally built Renault Clio III serviced and set-up for this very demanding and interessting race: VLN 24H Nürburgring 2011. The complete package contains: Complete hospitalitypackage(hotelroom in very idyllic countrycity close to "the Ring" - breakfast - lunch and dinner - free drinks during race - parts and gas - advice(Team owner is a former Nürburgring instructer) - help with "understanding" The Nürburgring and a fully insured racecar.